Well, the 8500 comes with either a ceramic matte black bezel, or the orange aluminum insert, and black aluminum isn't one of the factory choices. But I suppose someone could have made the insert to the same specs as the original orange aluminum despite the wrong placement for the bezel lume pip. Well I bought this from eBay. The description says it's a direct fit for the 42mm not the 45.4. It does not specify whether it's for the 2500 or the 8500 but it should have the same dimensions correct? Generally after markets will fit it just depends on the fit. 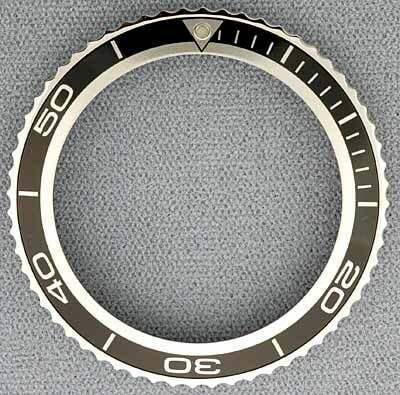 Original omega bezel inserts are held by precise engineering and pressure fit only. Some after markets do not do the same and need a little glue which may screw you if you want to change back. If you want to swap 2500 with 8500 bezel inserts again some on here proved it is possible but that was OEM with OEM. Also you have to apply a fair amount of pressure to remove from bezel ring and some have been known to buckle the insert so be careful. Personally I would pay the cash and buy OEM bezel complete for 2500 and just swap bezels over making the swap back easier - but each to his own if you are willing to accept the risks. Wait what you mean it can "Buckle the insert"? I've been googling this topic since I bought the watch and haven't heard that before. If that's true, I think I'll skip on this entire project. I am taking it to a watch maker so if he breaks it he buys it unless he disclosed that he's not responsible for damages. Yes replacing the insert is very difficult. You aren't talking about replacing the bezel. He will need to peel that orange insert out and then fit a cheap knock off intended for a different watch. If this one works out for you I'll eat my iPhone. This isn't going to work. And certainly not going to be something you can swap back and forth when the mood strikes. 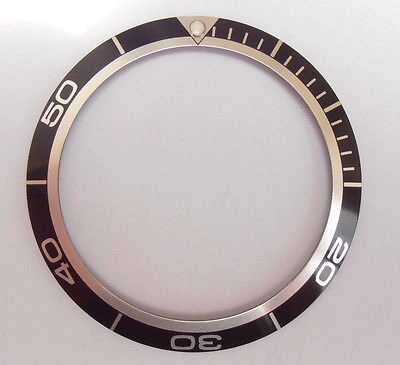 When most people talk about changing the bezel they buy a complete bezel assembly which is the only way Omega sells them. How sure are you about this? There are countless threads about people swapping out inserts and going back and fourth. I am positive. These countless threads you speak of are people swapping the entire bezel assembly, not swapping the insert. They are also about swapping from the same watch not two different generations of POs. Good luck I have been wrong before.